There's nothing worse than not being able to fall asleep at night. You toss and turn, fluffing one pillow and then another. Blankets on, blankets off. Window open, window closed. Nothing seems to be right. Thoughts about the previous day and the impending dawn tumble through your head, swirling around, popping up, flitting away - teasing you and flirting with your subconscious. What’s even worse than this? Not being able to wake up in the morning. If you want to make your falling asleep and waking up a pure bliss, you’ve came to the right place. We have a very useful app that can help you with this, one called Blue Light Therapy. It is launched on the iOS platform by Alexander Stone, compatible with both iPhone and iPad, designed with smooth and easy-to-use interface. What is Blue Light Therapy & How Does it Work? Blue Light Therapy is an incredible app that naturally wakes up your brain by stimulating the suprachiasmatic nucleus, a region of your brain region that is activated by blue light and responsible for sleep to wake transition. It is based on the effects of the blue and orange colors, which impact the rate at which we fall asleep and the mood in which we wake up. To use it, you have to install it on your device, set the brightness to its maximum and set play. You can play it for 4 minutes or use a loop mode. 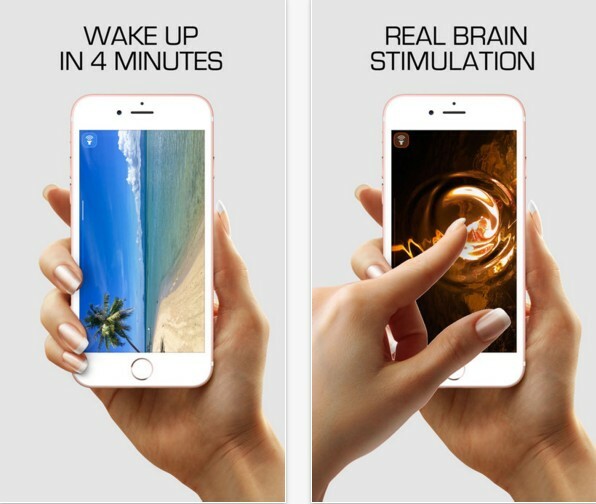 Whatever you choose, the app will relax you for sleep, restore alertness and improve your motivation wherever you are. To enjoy Blue Light Therapy, which by the way is an ad-free app, you can click the link below and download it for only $1.99.